So with the holiday season upon us, clients are typically awaiting a winter respite from their monthly visibility efforts. However, though it saves some money in the short term, is this break truly beneficial for a site’s long-term goals? The answer is simply, no. As professionals, we often hear gasps when a company finds out how much money they will need to spend each month to be competitive in their markets, especially small business owners. We get it. Good consultants and agencies are not cheap. They are rarely inexpensive. It seems, however, that many companies forget before the net and search engines, they used to pay as much, or even more, to traditional outlets that reached far fewer potential customers. Remember the days of paying for your billboard, flyers, mailers, radio ads, etc.? Over the course of the year those added to as much or far more than your website visibility plan (SEO) does today. Now while those investments are similar in terms of costs, online your website reaches exponentially more eyes and ears. So perspective is crucial when talking in terms of monetary expenditures and your website visibility plan. It is a transfer of money from one method of advertising to another. We call it an investment because unlike advertising, website visibility plans also work on sales optimization. Consultants not only get traffic in the door, but the make the line shorter and your cashier nicer, i.e. they make your site presence better. So, when do you start your SEO website visibility plan? Today? Next week? How about never? OK, maybe never is too strong a word. There is the first time you launch your plan and the time your stop doing business, but in between that it is an ongoing continuous effort that, though it can be dialed up and down according to needs and trends, should not be dropped or stopped. Just like you would not have stopped your customer outreach in the days before you had a website. It is all part of marketing and making money. So once you start, it costs you more to stop in lost sales and lost traffic. The first reason most companies drop their website visibility plan is due to money constraints. 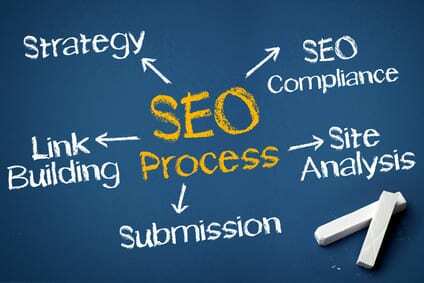 If your SEO professional is doing their job, you are likely making more money from their efforts, or if not, you are at least able to reduce money put into other paid options. So you are spending less money or even better, making more, now what should you be doing with this money? Once your website visibility plan is underway and a few months have passed, you should start making money back on your investment. You will not recap your investment right away, as there are a few months where the money in does not equal money out. However, your costs will not increase and in many cases can decrease, while your traffic and return on investment (ROI) will continue to grow. Like most business investments, SEO is an over-time proposition. The money you invest initially should be surpassed in earnings, but it will take time to get there. So once you are earning money, take at least part of these earnings and reinvest it into your visibility strategy. Your consultant, or agency, can assist in mitigating the costs when needed, but if you are not reinvesting the money in a strategy that is bringing you money what are you doing with it? Part of business in the 21st century is to make sure you are visible to your customers – wherever they might be. These days that means the Internet. Another complaint we often hear is, “But Google! Google makes no sense. Google is voodoo. Google is unreasonable.”All of this might be true to you as the person in charge of your website’s marketing plan. However, it is not (or better not be) to your visibility consultant. If it does seem like a foreign language to your consultant, hire another one fast. Google is not voodoo. It is not even all that mysterious – well, to us. While its exact points are not disclosed, this is what we do. We study patents. We research changes and trends. We discern the importance of each Google update and release. We know why a title tag is important and why reciprocal linking is not. We live, breath, and sleep SEO. That is what you pay us for, knowledge, not hours on a time sheet. With the algorithm as an unknown quantity, this can appear true, but it isn’t. The algorithm is math and math can be reverse engineered. Google is not made from fairy dust and unicorns. While it may seem elusive, Google runs on algorithms. Although these algorithms seem complex, they are algorithms nonetheless. So what does this mean to you as a site owner or marketing department? Unfortunately, we have surpassed the days where a site owner (in most cases) can simply read some Moz and the Google Webmaster’s Guide and then fashion their own website visibility plan. I used to fix my own car. I changed the oil, installed brake pads, and gapped my own plugs. It saved me money and it was kind of fun. But now I don’t do this anymore. Why don’t I save myself the money and work on my own car anymore? Because the carmakers have put those simple things in places I don’t know how to reach; they added computer sensors and switches that I am likely to break. Things have become complex and the chance of doing harm is high. We are at the same point with site visibility efforts. Unless you have proven success and have kept up to date on the changes every day, it is time to hand over those reigns to an SEO professional. After all, isn’t your time better spent with business strategies and day-to-day details? This is what you do best. Leave the website visibility to what your consultant does best. BUT — GOOGLE. IT’S WORN ME OUT. We get it. Google has made changes, often ones that hurt your site. The site you put many hours of work into and even more money. You were chugging along, then Google pushed out an update that seemed to undo those many months, even years, of hard work and spent money. We understand you are tired of Google. We have those days, too. However, with Google owning up to 99 percent of the search market in some parts of the world and 67 percent in the U.S., you may be tired, but you still need to keep going. Remember if you don’t, your competitor will and that means your potential customers are finding them instead of you. You might as well block your driveway and point an arrow to their door. GOOGLE IS WHERE YOUR CUSTOMERS ARE SEARCHING. While there are a few verticals where this is untrue, there are very few. For most website owners, Google is where most of your online customers do their searches for the services and/or the products your provide. If you are not seen in Google’s search listings, you are missing out on key revenue and profits. Google is like eating your vegetables. You may not like it, but you need it. A good consultant will make it worth your while. OK. I GET IT, BUT NEVER STOP? Yes, just like you would have never stopped your offline advertising when you relied on it. Website visibility marketing is the same thing. Now, website visibility marketing includes social media, paid, and even offline efforts. However, if people cannot find your site when they search for it, these other efforts will likely be futile. Why can’t I work on website visibility when I want to? Website visibility is a 24/7 game. When you are not working on it, someone else’s site presence is getting faster, stronger, and better. Typically, that person is your competitor. Not only are they getting faster, better, and stronger, but your site is also getting weaker. Not only are you not actively strengthening your site to keep on passing the Joneses, you are likely losing ground. Links fall off. Content gets old. Technical issues go by unnoticed. Even if you manage these issues in-house, when on a break how many Google changes are you not addressing? How many algorithmic updates are you missing? What efforts were being made that are not any longer because resources were directed elsewhere? Taking off time from your website visibility plan is not taking a simple break; it is like getting a 10-mile lead in a 50-mile race and stopping for a rest and maybe a nap. You can lose some, or even all, of your current advantage. An advantage your spent time and money to achieve. So again the most likely issue for a site in continuing their plan is money, lack of money, or access to it. So what can you do when money is an issue? Most SEO consultants are more than willing to adapt a visibility plan that is better suited to your business needs during slower months. Note these should be short-term solutions, as the long-term issues can be the same as stopping if you don’t return to a full site effort. However, these suggestions can help to offer some pocketbook relief when income is down. Change scope: Your website visibility can be maintained during your slower months, just by changing the scope. This scope change can be based on many things, such as choosing a smaller section of key terms, moving simple things like content in-house, or refocusing your terms on seasonal trends. Alternate efforts: You can use alternate efforts that cost less to help boost your maintenance strategies. For instance, you can do more with your social media, content development, or video optimization. These are all efforts that help bring you traffic; the ROI is dependent on vertical and geography, but your consultant can help you determine which method is best for you and your site. Alternate strategies: Alternate your offsite efforts such as link acquisition with your online efforts such as technical fixes or social optimization. Instead of doing both strategies each month, request an X percent reduction to your monthly efforts to shift what you do from one month to the next. Then alternate these on a monthly basis. Again this is not optimal long term, but it is very helpful in the short run. Refocus your efforts: During slower months you can refocus your efforts to find low-hanging fruit. Look to the long tail to bring in additional lost traffic. While you were likely doing this anyway, when things are slow it is an optimal time to up these efforts. This is an excellent way to discover untapped verticals for your business. Drop to maintenance levels: Ask your consultant to do only what they have to do to maintain your current levels. Invest more if you lose ground. SEO, website visibility, inbound marketing (or whatever you call it) can be a bit daunting. Keeping it up 365/24/7 may seem impossible, but the benefit is more visibility and more money. The alternative is often lost visibility and fewer clients. Once traffic is lost and visibility is gone, you will often have to invest as much as before to get it back. Now, for some of you, there is also a point of diminishing returns – when you have spent all you can to get all the customers you are likely to get, but even then you never stop working on your plan. When your site gets to this level, lower your plan to maintenance levels. As mentioned before, this means a level where you maintain the site at its current visibility while only increasing your investment when something negatively affects it, such as a Google algorithm. However, for many of you there is not much truth to this belief. Whether you are a news-based site, an e-commerce platform, or an informational entity, there is no end to your market unless you are getting a few hundred million or more visitors a day. The world is your oyster – use it. Website visibility becomes a self-fulfilling cycle of make money, invest money, and make more money. Now, there are other forces that will restrict the ability to make unlimited money and I do not want to suggest that is even a goal. Just using a bit of hyperbole to note that there is a potential for your site to far exceed your original expectations as long as you maintain your efforts. So with the holidays ending soon, don’t look at this as time to take a rest from your website visibility efforts. Take that slower time of year to get that advantage on your competitors – you know, the ones who did not read this article and are resting on their holiday laurels. Come spring you will be glad you did. ⟵Why Should Hotels Use Social Media Marketing?